The financial crisis started as a housing bubble with the financial industry convinced that home values never fall. How wrong they were even a they leveraged and securitized their investments to create a global crisis. Now, brace yourself because not only isn’t over until its over but in some respects its just begun. There will be more foreclosures this year than last and as a result more suffering for American families. “When the crisis first developed, in February of 2007, it was subprime where the worries were, with the lion’s share of writedowns coming from mark-to-market losses in the securitisation market. However, subprime was a relatively small part of the overall market, making up 14% of loans outstanding at that time. Alt-A loans were 27% and prime loans were 57% respectively of loans outstanding according to a Banc of America Securities report. I love phrases like “order of magnitude” because they make problems seem too big to do anything about. As we aggregate the losses we lose sight of the individuals whose lives are at risk even as financial websites carry more and more articles about how to profit from foreclosures. Today, it’s not just that prime loans are about to go belly up but more and more tenants living in private homes are at risk—with no one looking out for them because they don’t own anything and so are considered disposable. Mounting foreclosures is an issue I have been writing and railing about. Protests against them are featured in my forthcoming film PLUNDER The Crime Of Our Time. There is a macro dimension to this crisis abut also a far more personal micro one. Here’s a story I was told about a middle class woman on Long Island, who happens to be Haitian. I am sure its not the worst case—and certainly not the best outcome. Read it and weep—but as you do remember this bell may toll for more of us. At the same time, as a reporter, I find myself personally exposed to people experiencing these problems. One is a close friend of a close friend who found herself on the street last week. I offered to help her write an op-ed about her situation based on what she told me. She really liked it, but then had second thoughts about having it appear under her name. It is intimidating if you are not used to challenging powerful institutions even after you have been terribly mistreated. There is always a hope that some deal might save you, or get your home back. I have to respect her right to anonymity, but I can vouch for the accuracy of this sad account implicating a predatory bank and their servicer, the County Sheriff, and a moving company that makes money off of people’s misery. Almost two months ago, the country I was born in suffered a natural calamity. Hundreds of thousands died in the Haitian earthquake, members of my own family among them. Our family home was destroyed. It was heartbreaking and traumatizing. I am still grieving. I was happy to know that so many people who live here on the Island responded with an outpouring of donations and concern. No homeowner would ever want to share the same experience of sudden forced homelessness. Less than a week ago, I stood outside a home that I have lived in for 14 years and watched the Nassau County Sheriff’s office and a team of movers (from Network Moving & Trucking )that they hired, evict me, crudely packing up all my possessions, throwing precious belongings in boxes and somehow also stealing my grand daughter’s laptop in the process before physically pushing her into the street. My family had just been dispossessed in Haiti, and now I was having a similar (but far less deadly) experience in Nassau County. Only this calamity was not due to a natural disaster, but to a well-proven chain of fraud and abuse by banks. The FBI has confirmed we have been living through a “fraud epidemic” since 2004. No big name musicians are raising money for the victims of this disaster. 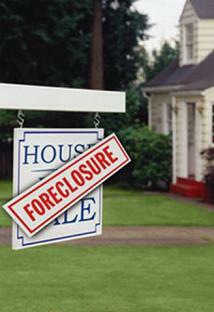 So far, the government agencies that have promised to curb an out of control foreclosure crisis have been ineffectual. The big banks have paid lip service to helping their customers, but, as study after study documented, they make more money throwing people out of their homes and reselling them than modifying mortgages so residents can stay where they are. They are in the game for profits, not to help people. In my case, I persistently reached out to the bank with emails and calls to try to negotiate. No one would take my calls or respond. There was no there there. I have been experiencing disdain and insensitivity at every turn. I reached out to legal agencies which Nassau County itself advises people facing eviction to go to, What happened? They told me there was nothing they could do. In my case, I wanted to buy the house I lived in with my grandchild—I am nearly 65—but the mortgage broker and the REMAC realty agency and the courts were less than helpful. No one would assist me. The Administration has stopped deportation orders for Haitians convicted of crimes, but seems uninterested in helping law abiding people like myself. Was it my accent, my Haitian background? I am an American citizen and a former civil servant with a long history of public service and employment. Ethnicity may be a factor but they treat people of all races this way–with contempt! Compounding the problem for me is that I wasn’t even the homeowner but a tenant whose landlord had disappeared leaving the home with all sorts of major structural problems and unpaid bills. I tried reaching him and the bank for months on end with no success. The bank in this case was HSBC, one of the most notorious subprime lenders which has written off billions of dollars because of its irresponsible lending policies, and been subject to investigations and reprimand. Their servicer is part of the scheme. It is no wonder that the public calls these people banksters. That is who they are. I went to Court and had my appeal to stay the eviction denied without any reasons given. The Sheriff told me the eviction could be stopped if I applied for bankruptcy. I did so, and when I tried to call him with the file number, as instructed, before his office carried out the eviction, no one would take my call. His secretary told he would not talk to me. A bankruptcy filing should have stopped the eviction. It didn’t. These are the bureaucratic games they play with people’s lives. And then to add insult to injury, the moving company had the nerve to yell at me for trying to stop my own eviction claiming that I was trying to cheat them out a $2000 fee for doing the job during which my grandchild was pushed physically and “lost” her computer. I am appealing to my Nassau neighbors to express concern about this outrage like they did for the victims of the quake. Please help me call for an investigation and reversal of this rushed eviction without a fair hearing or recourse. Will someone look into the actions by the Sheriff of Nassau County who did the bank’s bidding, and Judge Scott Fairgrieve who callously signed the order without an ounce of compassion. I am now, as a senor citizen homeless and personally at risk. I fainted on the day of the eviction and had to be hospitalized. I don’t know what will happen to me, and if something does, what will happen to my grandchild? For me, this calamity was like an earthquake destroying my life. Call ita bak quake if you will. I need help now. Will someone stand up for me as I have for years for people all over the world?